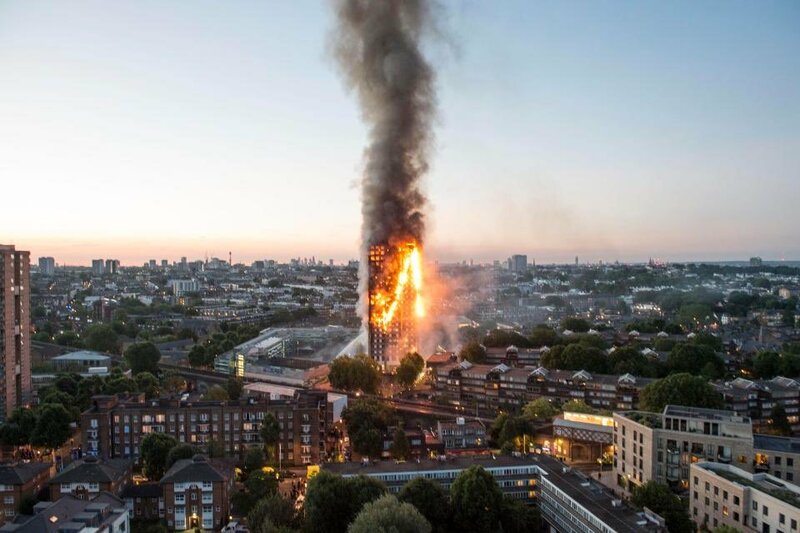 Mabinogogiblog: Grenfell Tower Fire: is it the beginning of the end for neo-liberalism? Grenfell Tower Fire: is it the beginning of the end for neo-liberalism? In a nutshell, the Grenfell Tower fire is the end product of Tory penny-pinching, light-touch regulation, and contempt for the poor. History may see the tragic, preventable fire as the beginning of the end for the false ideology of the neo-liberal elite. Chameleon-like it exists under many names, individualism, neo-conservatism, neo-liberalism, free market fundamentalism, small statism, Ayn Randism, but in the end it boils down to one thing: the rich are free to do as pleases them, and the poor can feck off and die. 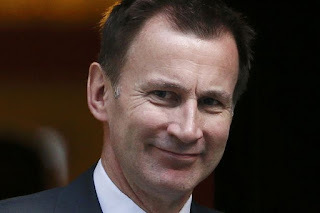 There are, of course, decent people in the Conservative party, but as someone pointed out recently, they have their integrity, but it is the integrity of a piece of sweetcorn in a turd. Here, for instance, is Cameron (an innocent in comparison with May) proudly aiming to "kill off the safety culture". The Grenfell atrocity was preventable. The fire spread through the flammable cladding applied in a recent refurbishment. Cladding consists of aluminium sheets enclosing a material either plastic or fire-proof mineral fibre. You don't need a weatherman to see which way the wind blows, and you do not need to be a fire expert to see that the cladding was responsible for the spread of the fire. The videos show the flames propagating upwards at incredible speed, up the cladding. Concrete does not burn. The cladding had two purposes, for insulation, fine, but also for aesthetic reasons. It was the only one of Kensington's blocks to have the flammable type of cladding. Q1 Was it chosen for its colour, to please the rich inhabitants of Kensington? Q2 Or was it chosen because it was £2 a sheet cheaper, saving £5000 in a £10 million refurbishment? Q3 Who made the decision to use flammable cladding? These cases should be enough for competent fire safety professionals to advise Government and Local Authorities to insist on totally fire proof (ie mineral) cladding. Q4 Did professional officers advise decision-makers clearly of the dangers in flammable cladding? If not they were professionally negligent. Q5 Did decision makers (usually politicians) ignore professional advice? If so, they should be prosecuted. The coroner at Lakenal incident wrote to Eric Pickles, the Community Secretary, with a set of recommendations. Pickles rejected the coroner's call for retro fitting sprinklers in social housing, and also dismissed calls for landlords to provide more info to aid firefighters. Q6 Does Pickles still stand by his decision? After Lakenal the All-Party Fire Safety and Rescue Group ordered a review of fire safety in social housing, but this Review has been suppressed by a series of Housing Ministers, including Brandon Lewis and Gavin Barwell, who lost his MP seat in 2017 and was immediately appointed by the Maybot to position of her own strategy advisor. (Another error of personal judgment by May along with Johnson, Hunt, and Gove). Q7 Will Lewis and Barwell admit they were wrong to suppress the Review? The Maybot has ordered an Inquiry. Normally, Tories resist Inquiries, but she has been swift to act here. The reason is that Inquiries take a long time to complete compared to a Coroners Inquest. Also Inquests are more free-ranging: Government can set limits to their judge-led inquiries. Therefore it is vital that the inquiry is not used as a ploy to divert criticism from the Government, and to delay making towers safe by removing flammable cladding, installing sprinklers, amending stay-put instructions, fitting fire alarms and installing escape technology if possible. These works have to be commenced immediately. The Government will try to stall. It is our job to hold their feet to the fire, and I personally feel strongly that we should do this by holding regular, protracted and persistent demonstrations outside every Conservative Party Headquarters/Association in the land. There are many aspects to this tragedy, not least the closing of so many London fire stations, but the cladding narrative here is important because it shows so clearly the intolerable failure of the Tory neo-liberalism with its low regulation, penny-pinching, and disregard for the situation of the poor. Great post, thanks. I hope it is another sign of the end of the NeoCons, and the UK turns more towards helping his fellow humans at the expense of money and power. It won't while May is in nominal charge, or the Tory party, or while there is a FPTP voting system.